Reality Check: Are Cyborgs the Next Step in Human Evolution? Are we ready for human enhancement? In the latest movie from DC Comics Extended Universe Justice League, we finally get to meet one of the members of the superhero squad – Cyborg. Both in the original comics and in the new film, Victor Stone’s mind and body have been advanced against his will to create a better version of a human. By the comic book classic formula, Victor has to learn to control these new powers and overcome the feeling of being a threat to humanity. Neil Harbisson is a cyborg too, only in real life. His “power” is much more poetic and definitely less resented by its carrier – he can hear colors. An antenna implanted in his skull allows Neil to receive audio signals that he can interpret into colors. As a colorblind person, Neil’s natural abilities have been extended thanks to this technology. Now Neil creates art aimed at expanding human senses – he produces paintings and piano concerts to help people see how he perceives the world with his newfound sense. Neil’s modification of his natural senses albeit unconventional is not that farfetched for every other human living now. How? Technology has inserted itself into our lives to the extent to which we delegate some of our functions to it. We use it to store our memories, we rely on it for calculations and information input, we even use it to bend space and time by bringing other continents closer, by making our voices travel miles and reaching people across oceans. Even analogue tools like eyeglasses have been enhancing people’s vision for more than 700 years. A digital hearing aid can help 28.8 million American adults to once again experience sound. Prosthetic limbs will soon allow amputees to receive sensory feedback, meaning they will be able to feel the touch. But what do you do when your desire to enhance your physical abilities isn’t affected by your disabilities? Artist and a co-founder of the Cyborg Foundation, Moon Ribas, has a sensor implanted in her elbow that allows her to feel seismic activity all over the world through vibrations. The sensor receives this data online, through an iPhone app, locating earthquakes of different intensity, which Ribas translates into movement. Harbisson and Ribas call themselves cyborgs. As a concept, cybernetics studies the act of interaction, control, and organization of systems of any kind, be it human, animal, or AI. Enhancing and transforming human preexisting abilities falls under the term transhumanism – the movement that studies the benefits, opportunities, and limitations of enhancing ourselves with the help of technology. Not everyone, however, finds such possibilities appealing. Science fiction likes to explore these themes in a most morbid way, showing us the decay of humanity, in which human bodies will become hackable like computers. This representation of the human enhancement movement along with the supposed threat it poses to traditional values creates an inaccurate vision in the minds of many. What if we lose connection with our humaneness? Should we play God and go beyond our natural abilities? What are the societal changes that this progression imposes? Are we ready to see RoboCops patrolling our streets? As Elon Musk and Nick Bostrom are raising awareness about the dangers of artificial intelligence, the opponents of human augmentation fear the decay of humanity due to our fusion with technology. Even before Google Glass hit the stores in 2014, critics concerned about the loss of privacy joining with those concerned with distinguishing digital from human. These leitmotifs are another science fiction exploration, showing us as two-legged computers ripe for hacking. But is it reasonable to be worried about transhumanism? The stop-the-cyborgs campaign that anticipated before the launch of Google Glass was led by the idea that anyone wearing the device would be able to record their surroundings without others knowing. The device was quickly banned at some restaurants, bars, and movie theaters, creating an unspoken social warning: Take it off if you don’t want to be creepy. In 2015, engineer Seth Wahle demonstrated how easy it is to manipulate smartphones or security systems with the use of the almost undetectable NFC chip in his palm. The problem with Google Glass and other interfering technology could be solved by creating regulations and policies that users or manufacturers would have to obey. Like every cellphone shipped to Japan is required to have a non-removable shutter sound, there’s a way to ensure that such body enhancements can’t be used against another person’s will. And it’s sensible to create these regulations before another questionable technology panics the masses. The fear that people will eventually turn into emotionless machines is supported by the media that likes to humanize artificial intelligence and strip cyborgs of empathy and morality. But is it realistic? We can argue about what it means to be a human. One would say that organic body parts make you a human, but are the people with artificial organs and limbs less human than anyone else? Medical bionics are actively used for patients on waiting lists for human transplants. The artificial organ market is expected to grow by 9 percent each year. They will soon be mass produced and help eliminate waiting lists altogether. How about a brain? We can’t yet construct a machine simulating all the complicated processes happening inside our minds though the work is ongoing. Some might argue that changing anything about our bodies or minds is unnatural, but the definition of what is natural is evolving as well. A recent survey uncovered the correlation between religion and a willingness to accept digital body enhancements. The more religious the person is, the less compelling and ethical they find the idea of transhumanism. However, this thinking doesn’t represent all religions. Take Christian Transhumanist Association, for instance. One thing is clear – there’s no absolute right or wrong regarding these issues. There’s an obvious concern that the opportunities to empower ourselves will be initially available only to the privileged, thus adding to the long list of characteristics by which we are already dividing ourselves as human beings. As technology won’t be accessible to everyone at the same time, there will inevitably be those who have more information, more power, more cognitive abilities. The double amputee runner Oscar Pistorius was prohibited from participating in the Olympics in 2008 along with able-bodied athletes due to his greater than 30 percent mechanical advantage. Similar concerns may arise soon for chess and go players who can use deep learning algorithms to win competitions. However, the technological advancements don’t usually come in single tsunami waves that smash everything in their way. The transition will most likely happen gradually, allowing everyone to grab a piece of this transhumanist pie at their own pace. Some will gladly replace one eye with high-quality connected cameras. Others will feel more comfortable wearing magnetic bands around their heads to improve productivity. 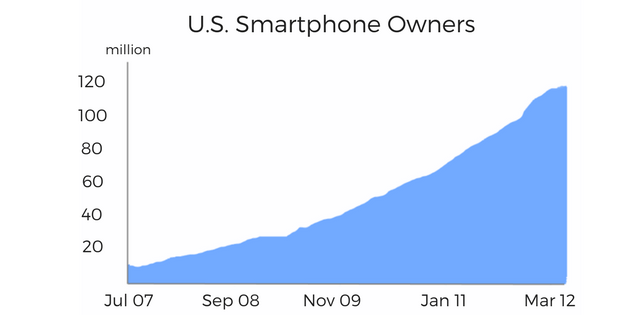 Just like with smartphone adoption in the US, it will grow steadily. It’s fair to predict that transhumanist technology will be adopted at a similar pace with the same pervasive result ten years later. But exactly what technology are we talking about? The transhumanist ideology doesn’t just entail enabling people with telepathic powers or having a flash drive implanted in your finger. It also revolves around the idea of reprogramming diseases, improving our sight in the dark, or stimulating neural activity. What technology and tools do we already have and what does it take to merge with machines for good? In a recent study, the consulting and research firm Frost & Sullivan defined three types of transhumanism: evolving body, thought, and behavior. Let’s talk about the possibilities of human enhancement in those same ways. Regular contact lenses, smart watches, and mind-controlled prosthetics are not the only examples of how humans can evolve and enhance their physical properties. Body hacking can be roughly divided into the following categories. Wearables. Fitness trackers, health monitors, even smart clothes connected to your phone are the wearables meant to augment the way people experience the world. The most widely developed applications of wearable technology are in healthcare. They’re used to monitor and record health data allowing for faster diagnosing and prompt reaction to disturbances. For example, a wearable patch Fever Scout allows you to monitor a person’s temperature in real time via an app. The Go2Sleep ring that will become available in May 2018 monitors your heart rate, pulse, and oxygen levels as an alternative to expensive and complex in-clinic testing. 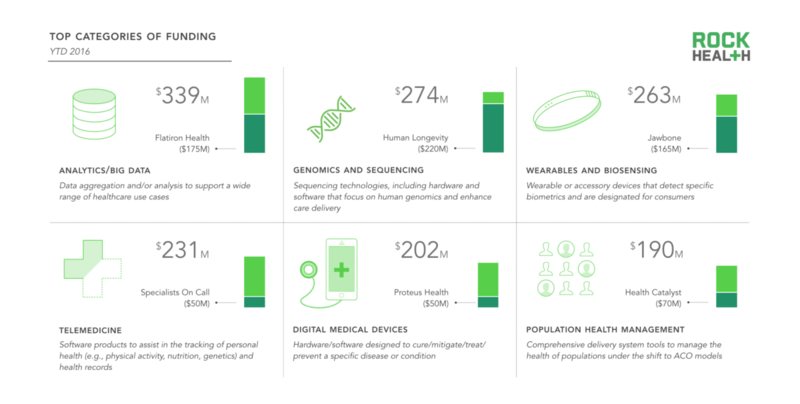 According to a Rock Health report, wearables attract the third-highest amount of investments in all digital health, after big data and genomics. Besides healthcare, wearable technology has potential in manufacturing as well. North Star BlueScope Steel along with IBM developed smart helmets and wristbands that monitor each worker’s individual metrics to safely guide them away from hazardous areas and notify them about unsafe conditions. The agricultural equipment manufacturer John Deere uses VR headsets to help reviewers determine the potential dangers that go into assembling a product. Among other use cases you can find payments (implemented on Apple Watch and Samsung Gear among others), sports equipment (see smart glasses for cyclists by Solos), insurance, security, planning, and navigation. Implants. Kevin Warwick is one of the first self-proclaimed cyborgs. Back in 1998, he got a chip implanted in his left arm to automatically access the doors and computers in his laboratory. The radio frequency identification (RFID) technology in his implant is the same technology used for security cards and pet implants, which easily track pets or activate pet doors in our homes. Today the number of people implanting similar chips is growing. Dangerous Things, a biohacking supplier, provides hardware, tools, and other implanting equipment for conducting safe and successful procedures. Their products range from NFC (near field communication) chips for data transferring to biomagnets for lifting small metallic objects by touch. Health risks of such implanting procedures have not been entirely studied. However, proponents argue that they are no more dangerous than getting a piercing or a tattoo. The broad potential of these applications has not yet been put into action. For instance, to be able to make payments with the tap of a finger, you first need permission from a bank and a payment gateway system. But, with growing demand, it’s fair to expect gradual adoption of implants. Reprogramming cells. Changing an organism’s DNA to cure diseases and inhibit aging has been one of the most ambitious initiatives of modern science. And it’s no longer unrealistic. The most recent genome editing method called CRISPR-Cas9 has already cured two girls of leukemia. The method’s simplicity and versatility is promising to deliver impressive results in treating viruses and even passing the improved genomes to future generations. However, due to ethical concerns, the wide adoption of the technology is questionable. Besides treating HIV and manufacturing revolutionary drugs, CRISPR may improve the general intelligence of an embryo or even design a human with desired features. Such prospects send some alarming signals from moral, religious, and legal standpoints and, therefore, the methodology first must to be studied and probably regulated prior to widespread application. Humans have been unknowingly enhancing their cognitive abilities with the help of technology for decades. 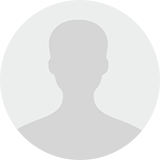 We don’t need to know all the contact numbers in our phone directory by heart, we don’t have to store the information about upcoming meetings in our memory, we easily make and copy notes of all the information we receive. But can we go further? Any augmentation of information processing in the brain including perception, attention, memory, or ability to learn can be filed under cognitive enhancement. Today, all of the technology enhancing our abilities is external. 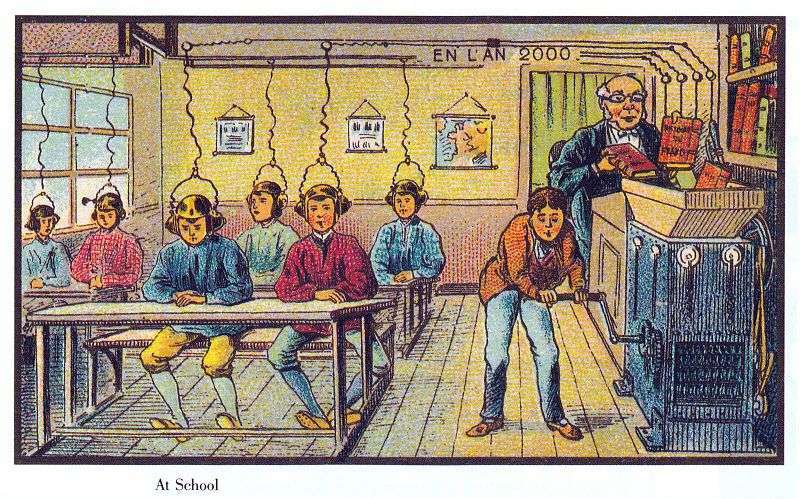 It’s been more than a century since the creation of the infamous postcards predicting the future in 2000 but we still don’t load information directly into our brains. The use of current cognitive enhancement pharmaceuticals also known as nootropics is still debated. Nootropics promote the production of neurotransmitters and increase circulation in the brain, thus boosting the efficiency of cognitive functions. Neuroscientists and psychologists are drawing attention to alarming side effects while numerous students are legally taking smart drugs to handle stress and academic performance during exam season. Initially safe, smart drugs can lead to addiction or memory impairment in underdeveloped brains, especially when exceeding recommended dosage and duration of use. When it comes to technology, the results are even more vague. The US Defense Innovation Unit has recently admitted to the testing neuro-stimulant technologies for elite forces, and mentioned 20-hour peak performance with the help of electrical stimulation. While electrical brain stimulation currently used in therapy is helpful in research on the animal and human brain, the widespread or even commercial benefits of the technology are not only questionable but perhaps even harmful. 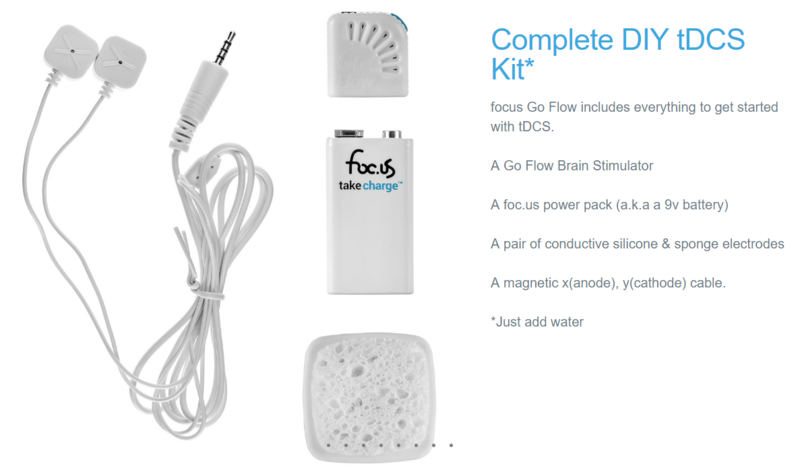 Commercial brain stimulating kits like the ones by foc.us promise to increase capability to learn but are highly unreliable. They use Transcranial Direct Current Stimulation (tDCS) – an experimental treatment claiming to enhance social and learning capabilities with the help of electrical jolts directed to your brain. A user can control the intensity and duration of a treatment; however, to achieve the desired effect, they should be able to repeat laboratory conditions at home, or they risk seizures and head burns. Another non-invasive form of neurostimulating technology is TMS – transcranial magnetic stimulation, an FDA-approved methodology for treating major depression, Alzheimer’s disease, or addictions. Calibrated to target specific regions of a brain, magnetic pulses are helping release neurotransmitters thus altering cognitive performance. Beside mental health benefits, scientists report numerous instances of attention and memory improvement associated with TMS. Either way, the research in this area has just started and it’s still unclear whether the effect of magnetic stimulation is long-term. The possibilities of augmenting human empathy, collaborativeness, and decision-making processes are surprisingly poorly explored, especially considering how these features are the objects of concern for the anti-transhumanism movement. If people can become less empathic or even psychopathic due to technology, we should research how to maintain or improve our social skills. We can ensure human enhancement through improving attention and ability to learn, but we still lack an important component to a fully advanced human – motivation and discipline. In his recent article, the innovation thought leader and writer Michael Schrage offered the term “selvesware” to define personal assistants of the future – data-driven and personalized tools to augment our cognitive and behavioral attitudes. While Siri and Alexa perform tasks and learn new skills every day, true augmentation, according to Schrage, doesn’t come with acquiring more external assistance, but with improving our own selves using analytics. Selvesware will be able to monitor our physical data like Fitbit, and then predict performance and suggest better options to distribute time at the workplace. Depending on your profession, these assistants will automatically go around your personal weaknesses and elevate your strengths. They will help designers and artists overcome creative blocks by helping them find a new perspective or suggesting effective choices from their previous projects. Along with wearables and sensors, selvesware will use such cognitive improvement practices like mindfulness, mental maps, and deep focus work to replace tons of productivity apps and make us more naturally disciplined. The key here is “naturally”. The robot-like employees moving in perfect rows along the corridors of office buildings is not something anyone wants unless you’re a cartoon villain. But in the era where machine intelligence boosts technology performance, it’s inevitable that it will soon automate and augment human potential to make us better experts while organically balancing our personal and professional lives. James Young won a chance to receive a 3D-printed prosthetic arm inspired by the game Metal Gear Solid. The arm looks futuristic and powerful. It’s equipped with a USB port and even a small drone. But it’s very heavy. Young admits that he doesn’t wear it most of the times. The so-called Phantom Arm is more artistic project exploring the alternative possibilities of a human arm than a product ready for mass production. And that does not even consider the price tag of such custom technology. If amputees and physically or mentally challenged people are the ones most likely interested in obtaining enhancements, what about those who don’t have a strong need to make their lives easier? 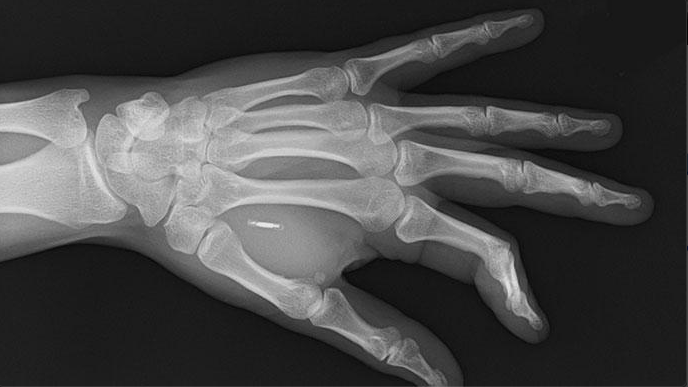 The demand for microchips is growing but implanting one small sensor in your hand is not the same as replacing a real working arm, even with something that potentially does a better job. The possibilities for transhumanist applications are varied but not entirely solid. Perhaps, the concept of what it means to augment humans will shift over time as well as how we see the difference between technology and biology. How soon will the enhancements be available not only for the people who need them, but also the ones who want them? We can only follow the current studies and wait for the appearance of science-backed commercial projects.